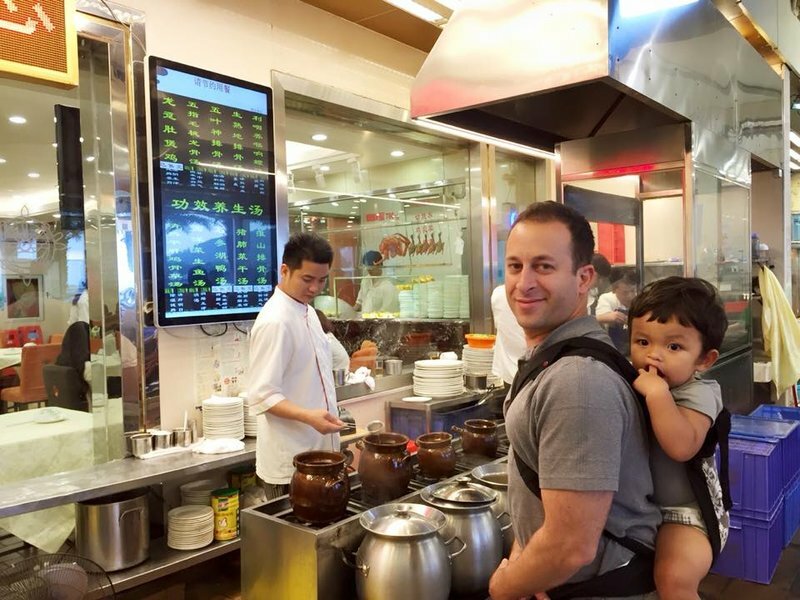 Only showing entries about zhuhai from Babies in backpacks. 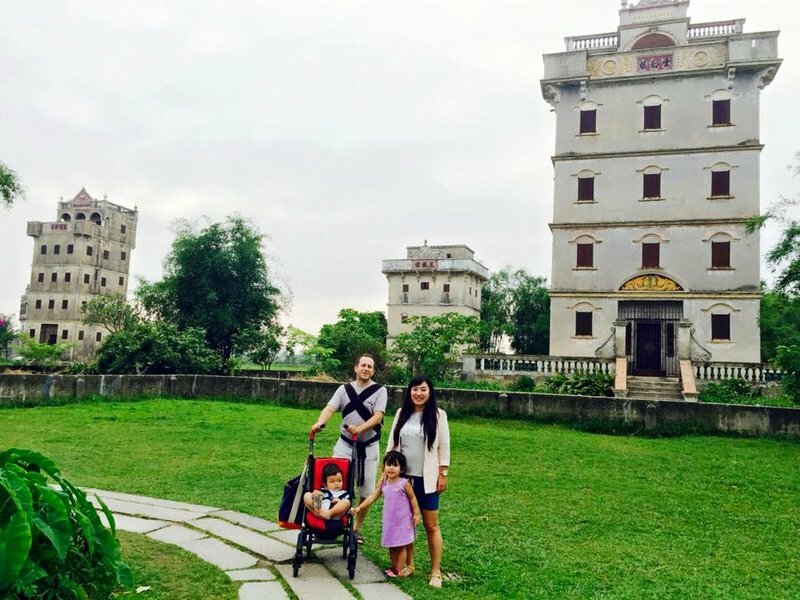 View entries about zhuhai from all Travellerspoint blogs. China is a huge and diverse country. 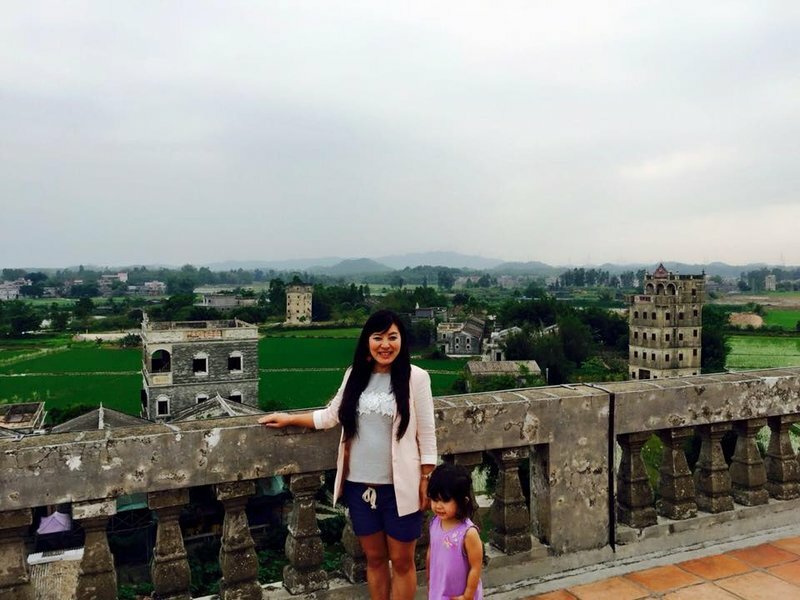 Even after five previous visits, I only felt like I'd seen at most five percent of what was worth seeing in China. I was looking forward to adding to that with a visit to Guangzhou, the capital of Guangdong province. While Guangzhou may be only vaguely familiar to Westerners, it is one of the ten most populous cities in the world by any form of measurement, and possibly the most populous by metropolitan area. 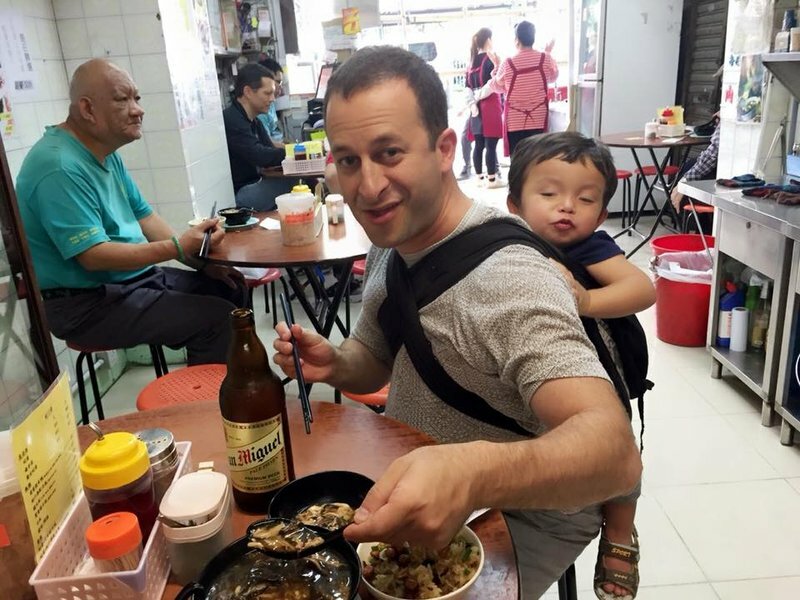 It's better known to Americans by its Anglicized name of Canton, and as the origin of most of what Americans and other Westerners consider to be Chinese, or Cantonese food. 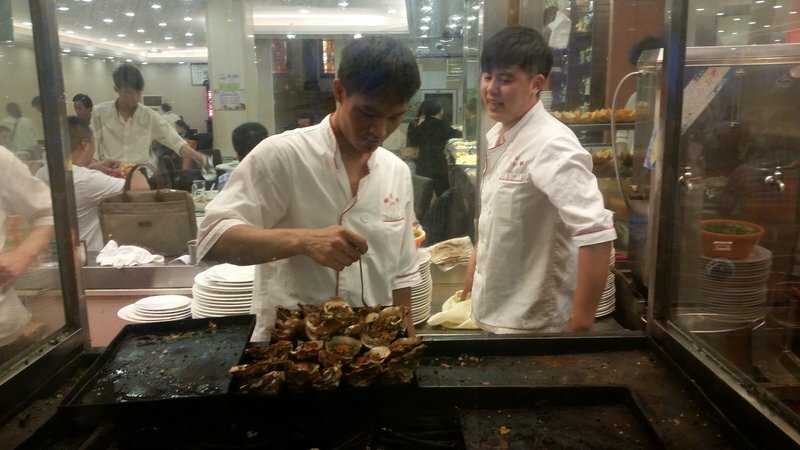 Guangzhou is well-regarded throughout China for its food, especially seafood, and is famous for its markets. For Mei Ling and me, that's nirvana. 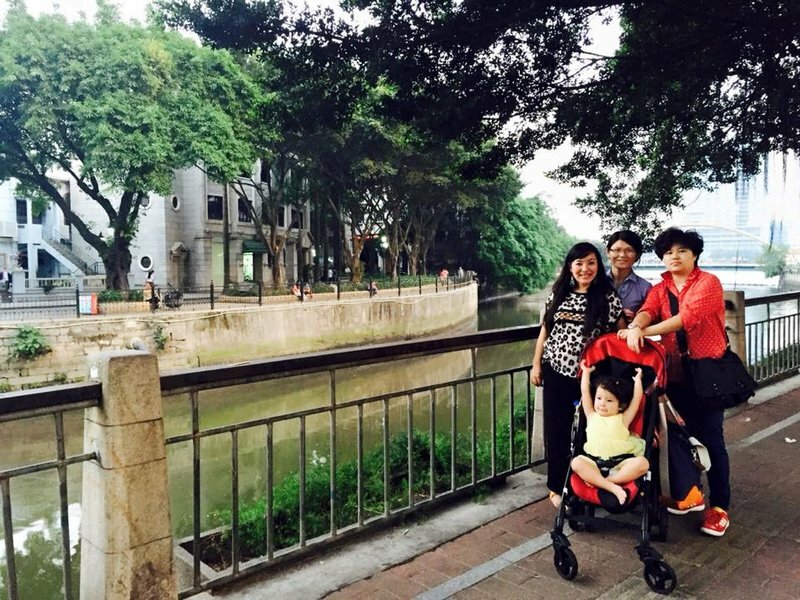 Like most of the world's great cities, Guangzhou is intimately associated with water. Around the city, multiple river systems converge to form the wide and powerful Zhujiang (formerly Pearl) river which splits and rejoins itself countless times forming numerous small islands in the river. 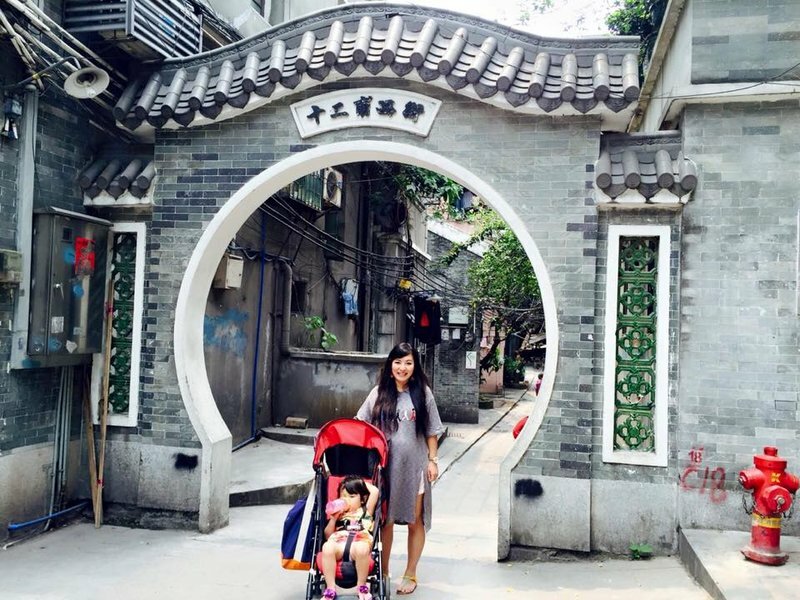 Our hotel was in the Shamian Residential District, a tiny rectangular island formed by a narrow canal of the Zhujiang River. Shamian was clearly an enclave of the wealthy. 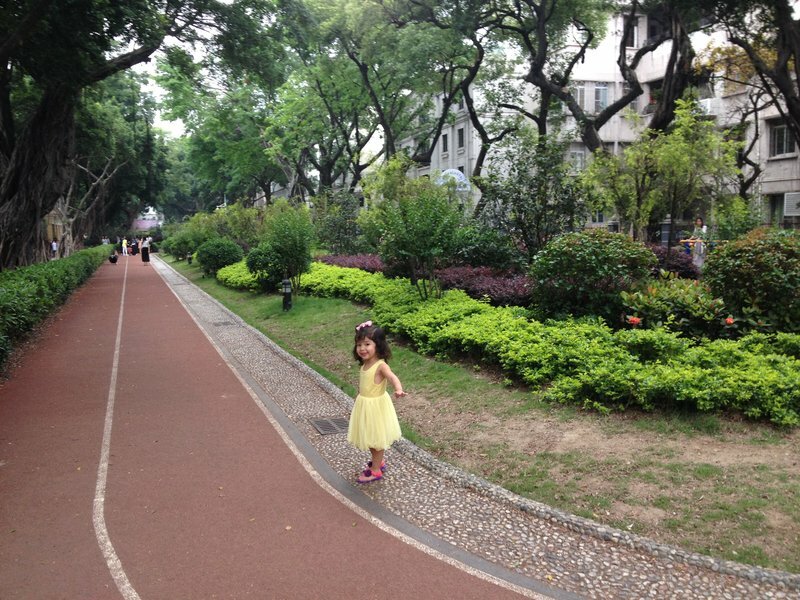 It had a wide central street with a beautifully landscaped park running down the middle. The park had well-maintained exercise equipment and a running track. The buildings were relatively new and attractive, and the shops and restaurants on the island seemed to cater to expats. 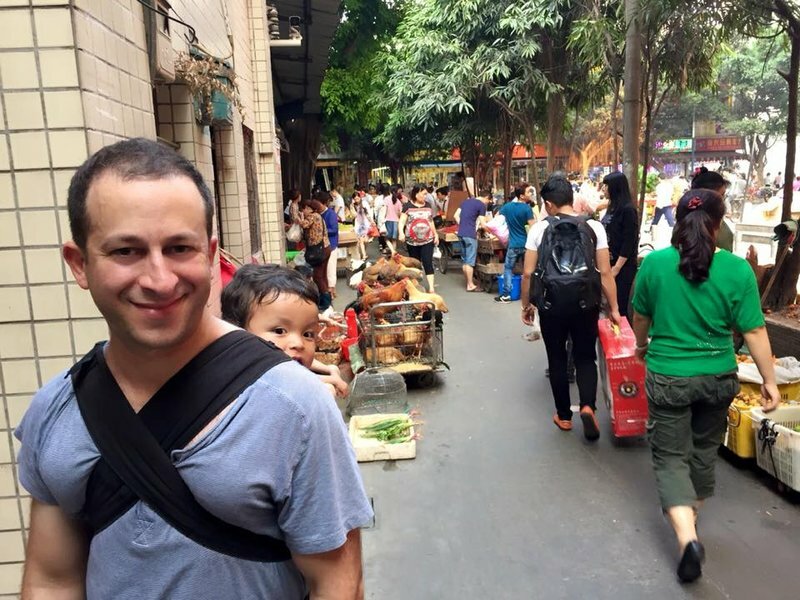 As soon as we'd dropped off the bags, we headed across the canal to Guangzhou's busy pedestrian zone. 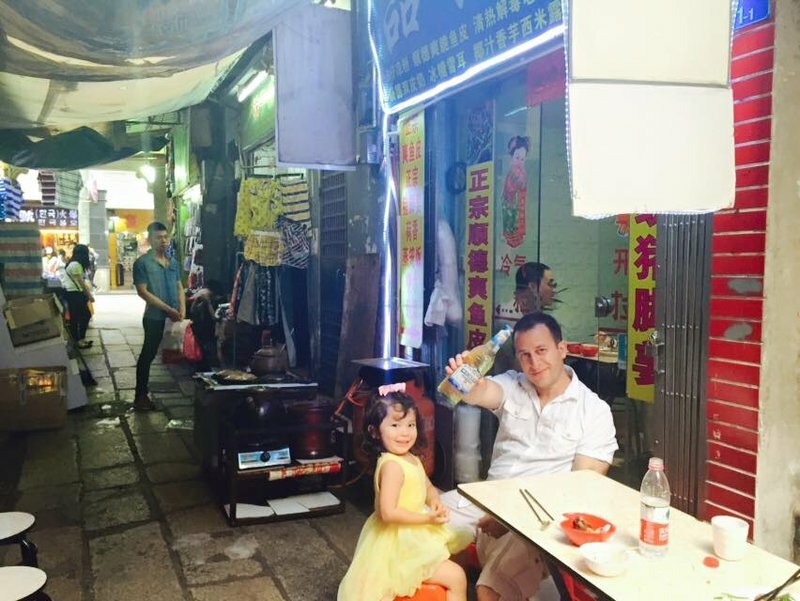 Mei Ling and Ian split off for a rendezvous with an old friend while Cleo and I ate a snack at a tiny alley restaurant that served a delicious salad made with crunchy fish skin. 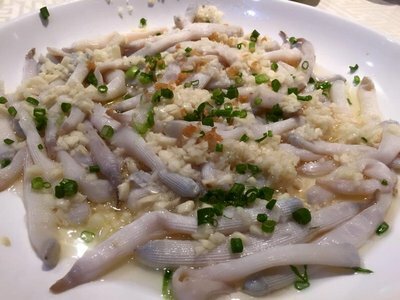 As is so often the case with dishes that I absolutely love in Asia, we were never able to find that salad again during our visit. 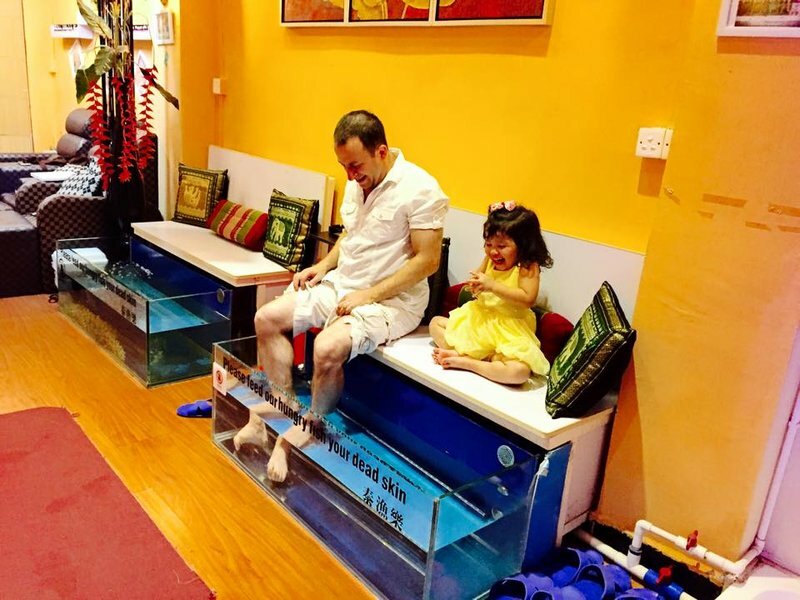 Mei Ling still hadn't found her way back once we'd finished eating, so we went to the spa next door to get our feet nibbled by tiny Garra rufa fish. Cleo made a valiant attempt but eventually her two year old mind couldn't overcome her natural instinct to keep her feet from being bitten. 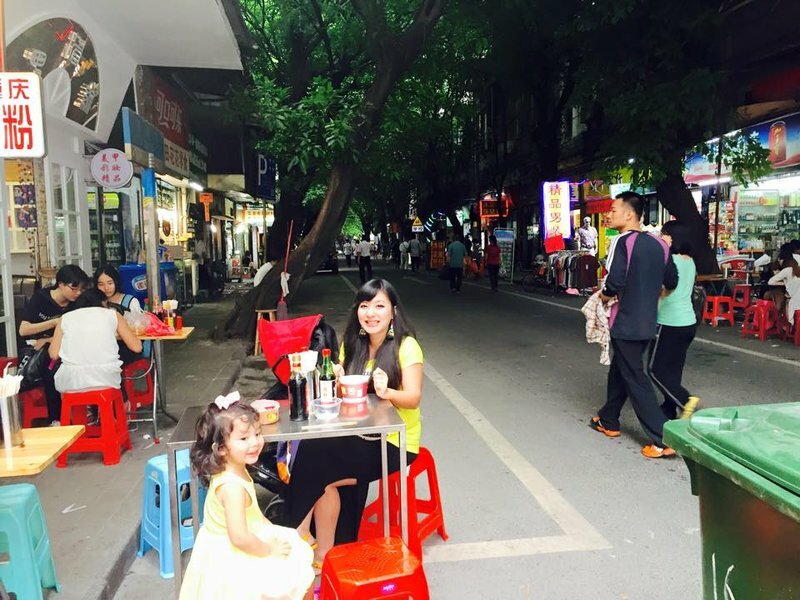 Mei LIng eventually rejoined us and we spent some more time exploring the main pedestrian street Shangxiaju and snacking before heading back home for an early sleep. We still had to recover from our grueling train journey and flight earlier. 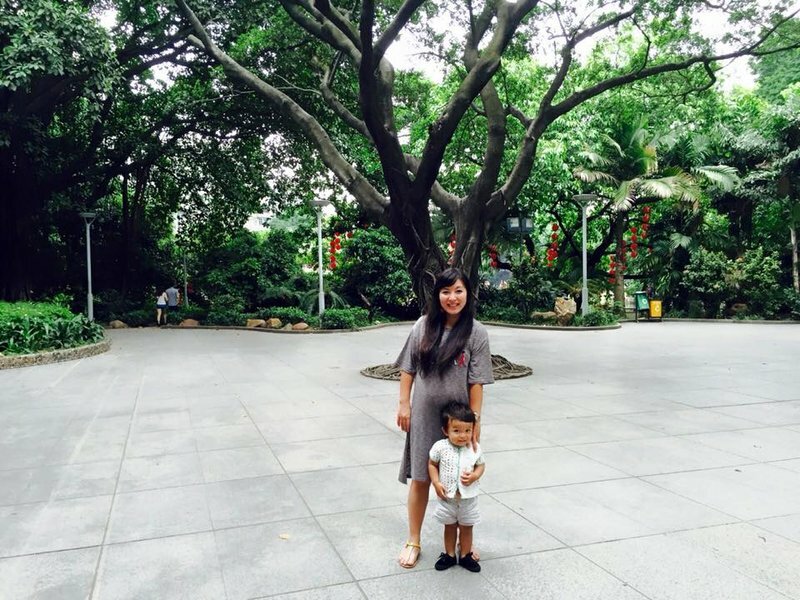 The next day was a market day, of course, so we met up with Mei Ling's friends and crossed the Renmin Bridge across the Zhujiang to Haizhu, the largest river island in the Guangzhou area. 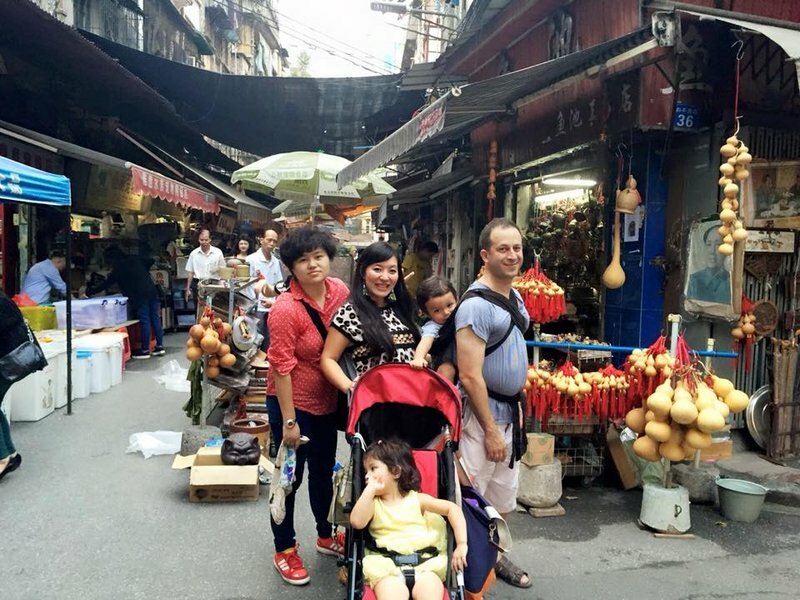 We spent an entire day wandering from market to market at the western tip of Haizhu. 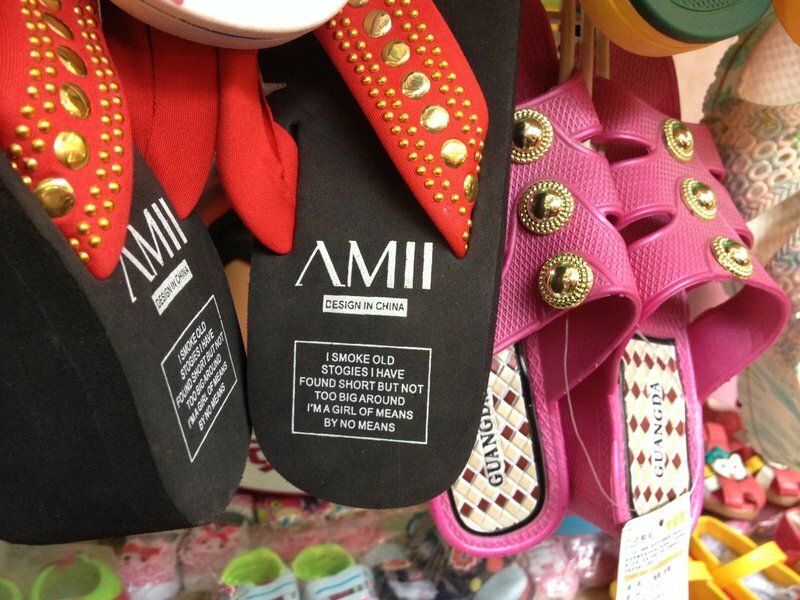 I was disappointed that I couldn't convince Mei Ling to buy the sandals with the incomprehensible Chinglish slogan. Later we crossed back north across the river and circled back towards Shamian, where the enormous Huangsha seafood market awaited us. One of the more interesting discoveries there was sand worms, also known as peanut worms. 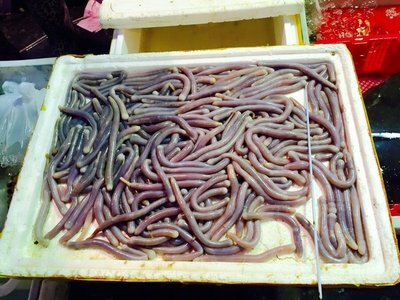 We couldn't resist buying a bag of these unappetizing pinkish-grey tubes and eventually brought them to the most well-known seafood restaurant in the market where they were prepared for us with a garlic sauce. They tasted like garlic sauce. 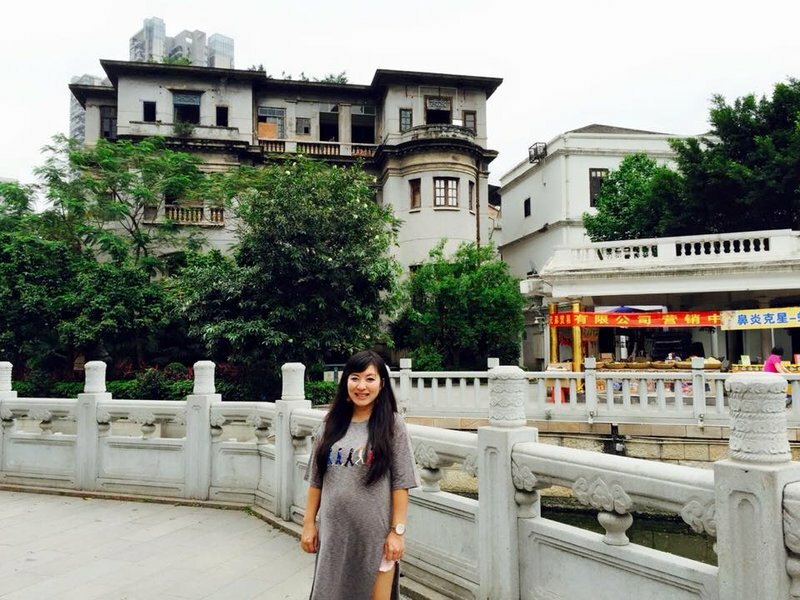 The next day we spent a little more time exploring the neighborhoods close by our hotel and then took a taxi to Liuhua Hu Park in the northern part of the city. The beautiful park was full of serene walking paths and grassy lakes where locals were boating. One of the highlights was watching some guys playing jian zi, the Chinese version of the hacky sack game I saw Mei Ling playing in Seoul. 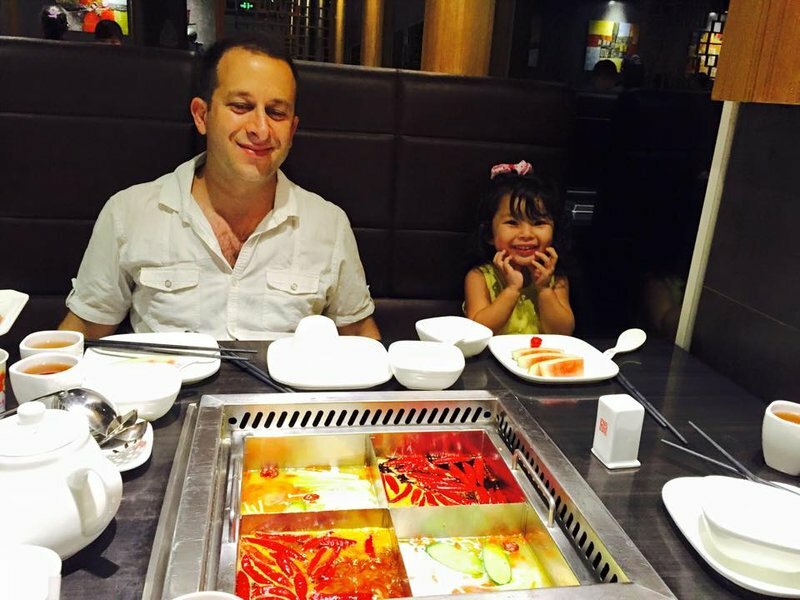 In the evening, we met up with Mei Ling's friend Guo Guo again and explored one of Guangzhou's upscale modern malls before having dinner in a hot pot restaurant. We decided to check out of our hotel the next morning. Another of Mei Ling's old friends was driving us southwest to the city of Kaiping, and it would be easier for us not to go back to Guangzhou at all. 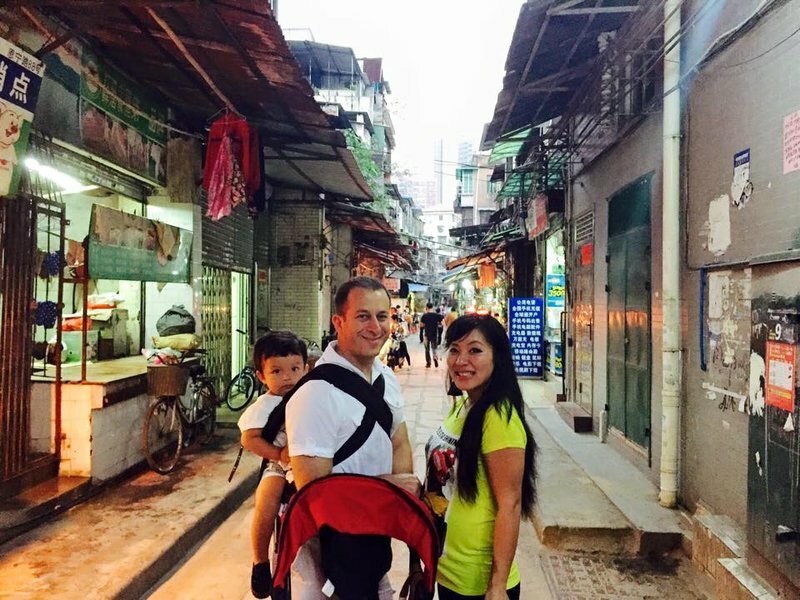 We walked back across the canal for one last meal at Huangsha market. On the road, we stopped at a special restaurant Mei Ling's friend knew about where we seemed to be the only customers. The specialty was paddlefish, which had a wide paddle-shaped snout. 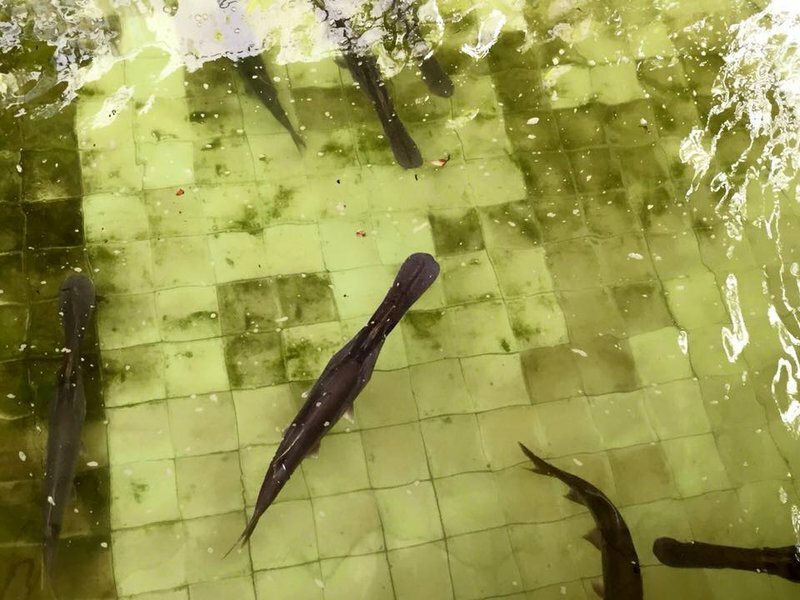 Several of them were swimming in large tanks at the restaurant. I tried looking them up afterwards, but couldn't find any convincing identification of what we had eaten. They're clearly not the same fish as what is commonly described as a Chinese paddlefish, which appears to be practically extinct. Hopefully the ones we ate weren't endangered! 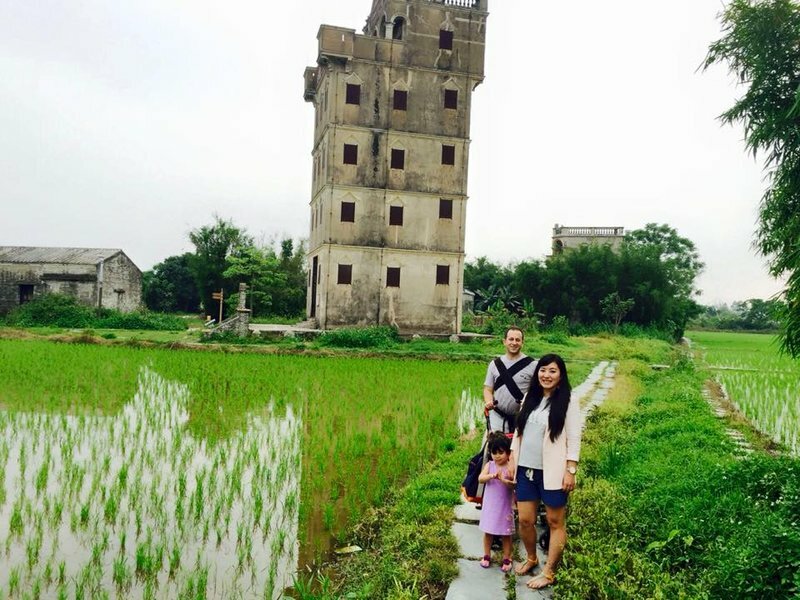 The only reason to visit the Kaiping area that I'm aware of is to see the eerie, multistory diaolou houses that were built intermittently between the 15th century and the early part of the 20th century. Some of the structures were constructed to serve as watchtowers, while others were multifamily residences. The mysterious diaolou reminded me of the imposing towers of Bologna, whose builders and true purposes have largely become obscured by the passage of time. In the area we explored, the diaolou arose incongruously from rice paddies that could only be traversed by narrow flagstone paths. On the way back east from Kaiping we stopped in the coastal town of Zhuhai for dinner. 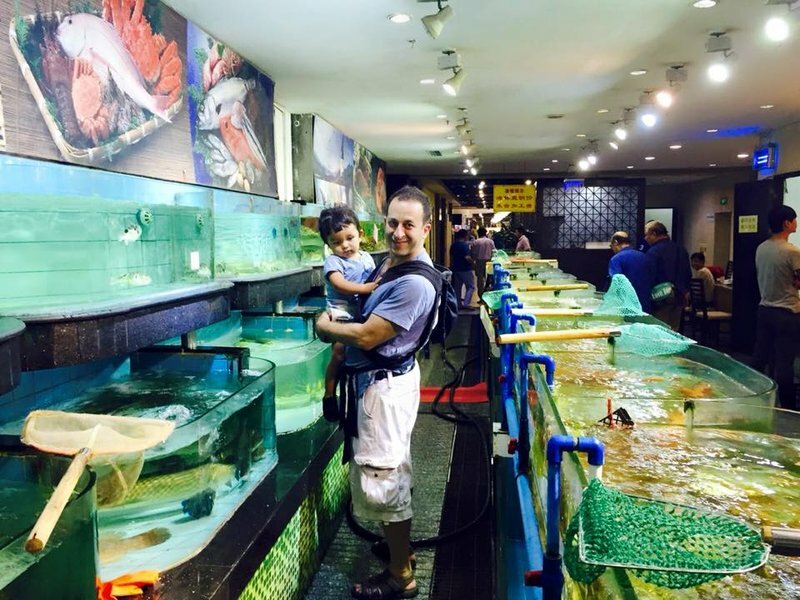 The star attraction here was Zhuhai Wanzai Seafood Street, with a long seafood night market on one side and a row of seafood restaurants on the other. Mei Ling immediately went to work on buying delicacies for us to bring to a restaurant. The best part was watching her negotiating for a huge horseshoe crab. Refrigeration for the seafood probably hasn't changed in a hundred years. Here you can see how the guys on the ice truck carve up and distribute their product. 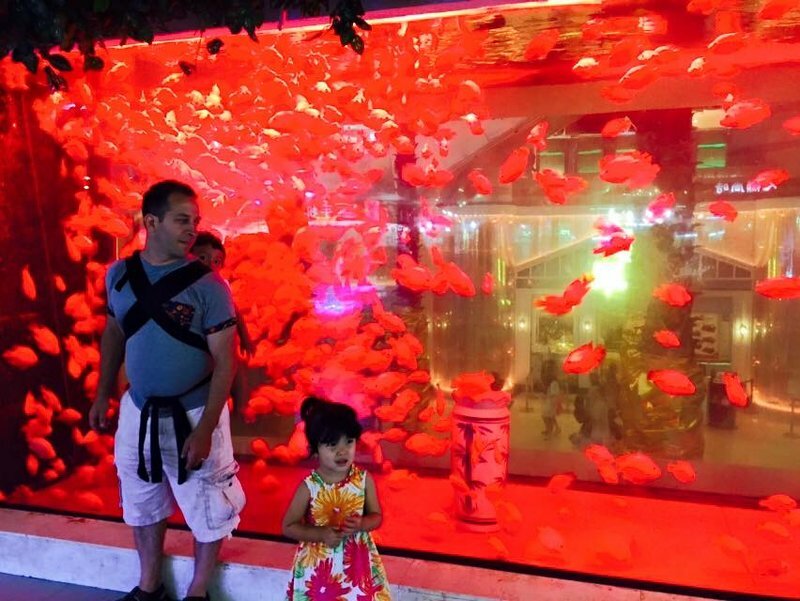 We spent the next day in Shenzhen, hanging out with yet another of Mei Ling's old friends. We spent a few hours in one of Shenzhen's many theme parks, of which the most interesting part for the kids was the monorail. In the evening, we had yet another seafood banquet at a coastal restaurant where we picked our food from tanks. 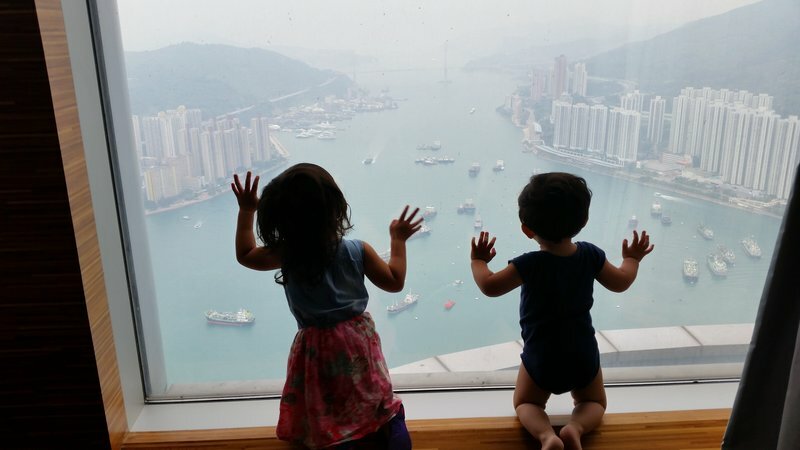 The next day we crossed into Hong Kong, where we had less than twenty-four hours before our flight to India. 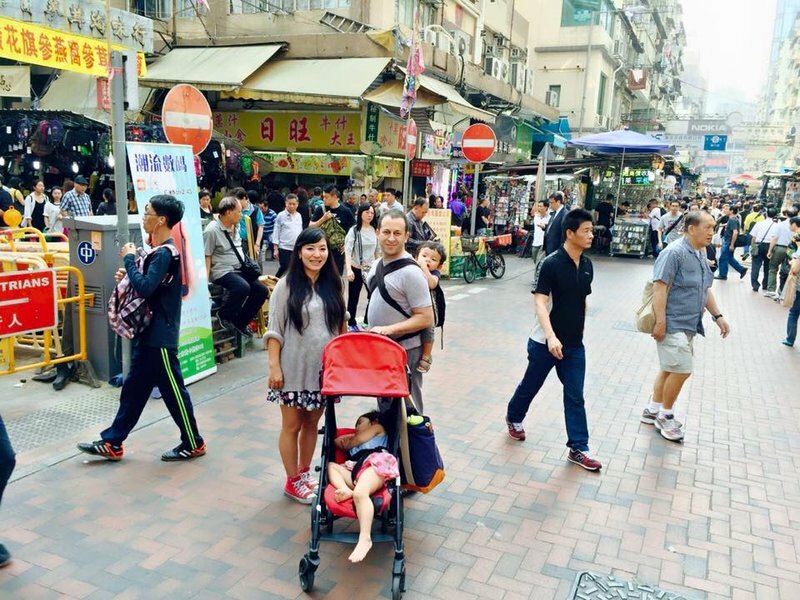 Fortunately I'd been to Hong Kong twice before, so I'd already seen most of the interesting sights and markets. 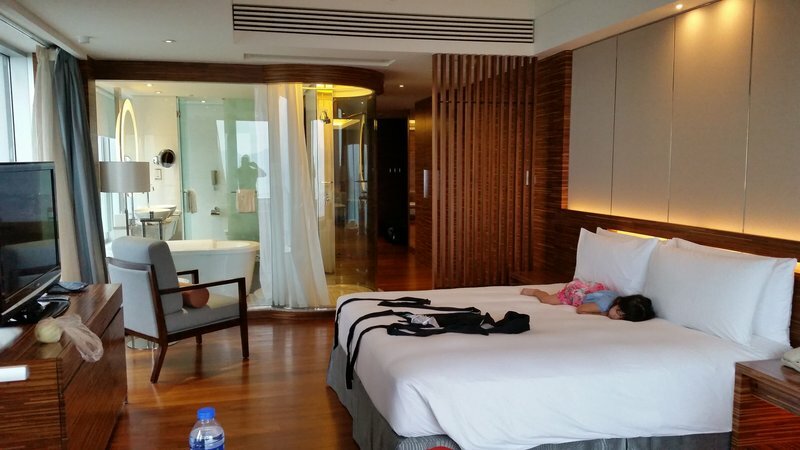 We stayed in a luxurious hotel suite on an upper floor of the Nina Tower, one of the most prestigious hotels in Hong Kong. We'd gotten a very low rate thanks to Mei Ling's local connections. 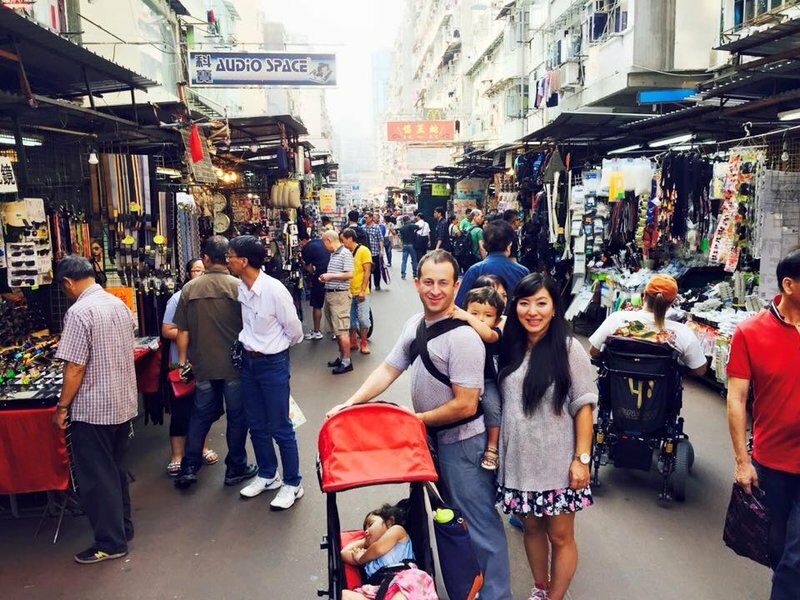 In the morning before our flight we hung out in the busy Sham Shui Po market area of Kowloon, where we window shopped for a couple of hours and tried some snake soup. I wasn't sorry to be heading to the airport once again. I'd been waiting a long time for my first visit to India.